My personal word for the year is FEARLESS. I want to let go of fear in so many areas in 2009. As much as I've studied about fear, preached about it, and talked about it, I realize I still have way too much of it. I wasn't sure what my word would be. 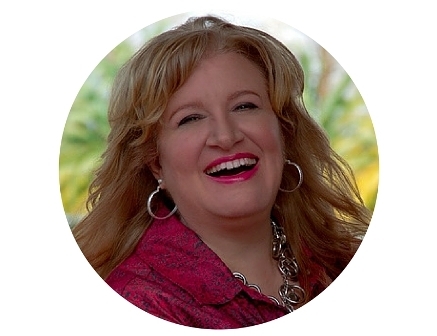 At first I was going for the opposite of fear...and I thought of "faith" and "courage" and some biblical websites even listed the opposite of fear as love. (Since perfect love casts out all fear, the scripture tells us.) But after talking it over with Tara, I settled on the word, "fearless." My friend/hairdresser Ada also helped me arrive at this thought the other day when I was talking to her. I said, "Ada, this year my goal is to get rid of fear in all areas of my life" and she suddenly turned to me and exclaimed with intensity, "NO FEAR THIS YEAR!" I said, "yes, yes, that's it! That's my theme!" So there you have it ladies and gents, my goal this year is no fear! 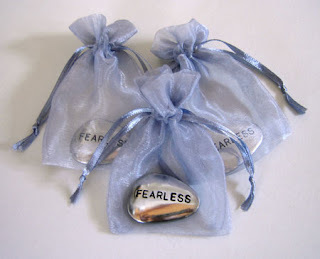 I found the "touchstone" above in the photo at a website called "fearless living". I haven't read the materials yet but they look interesting and I might order some...definitely I would like to order the little stone to keep with me all year as a reminder. The website says fear is "the only thing that ever stops anyone from anything." Yep, that's right. I took some steps and did some things this week that I can't really detail on the blog. Not out of fear, but out of respect for some others, I will not share it, but suffice it to say I took some steps this past week that have been months in coming...some of them six months along but I had just procrastinated out of fear. This week I did it. I made decisions. I acted on them. It was worth it and I am already reaping the benefits. It's a new year, without fear. I'm going to take the one word challenge as well but haven't decide my word as of yet! Thanks for your prayers PD. If I had to pick a word for the year it would be joy. Jesus wants his joy in me to be full. And I want to experience this in my everyday life. It's a mindset for sure. I miss you. I haven't been blogging too much. Lots of life happening. I know about ulcers and upset tummies. I know about facing fears and dealing with stuff you'd rather not have to and just wish it would go away. I know about hits coming out of no where that were intended to take you out, shake your faith and leave you for dead. Either I'm really stupid or full of faith (I believe the latter to be true) but I keep pushing. I keep going. Failure is not an option. Giving up is not an option. So only one word for the year eh? I really need two and pray Tara grants me grace...LOL! Hi Deanna...thanks for sharing. The picture is adorable, I love it. Like you, I chose a word for 2009...mine is focus. It was lovely to visit your blog today.